This term we will be learning about the different continents and countries in the world. We will use Atlases to find out what they are and discover some of the Wonders of the World. We will then focus on Mexico and learn about the physical and human features of this amazing country. Have a look at our Topic Overview below to find out what else we will be learning in our classes this term. This term we will be thinking about Materials and how they help the world around us. We will be Scientists and complete a number of investigations to find the best material for certain purposes. Have a look at our Topic Overview below to find out what we will be learning in our classes this term. 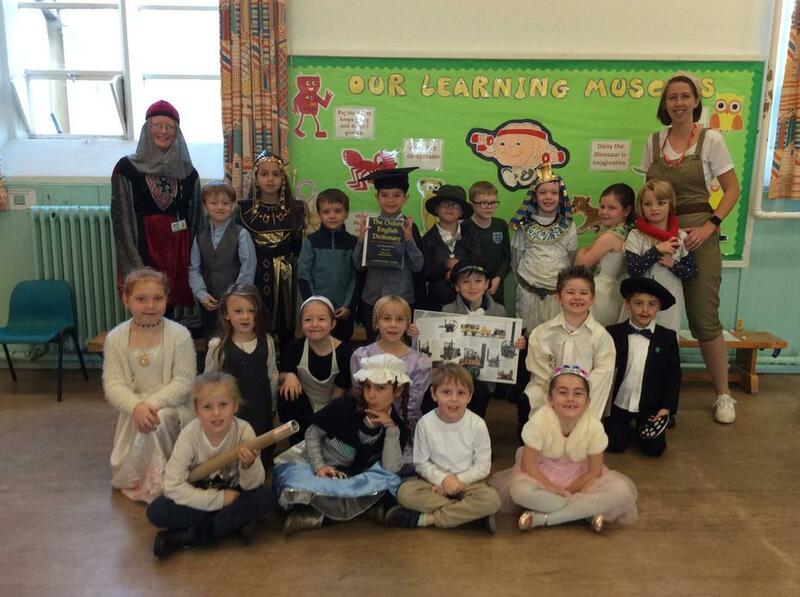 For our WOW Day this term the children were challenged with researching and dressing up as a famous person from history. 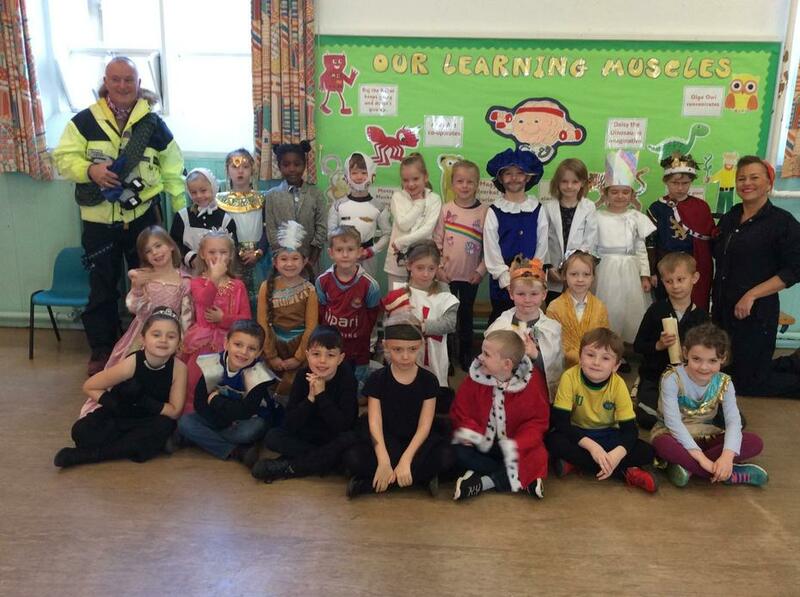 We took part in a catwalk parade to show off our costumes to the Year 1s. Have a look at our outfits. Can you guess who we are? 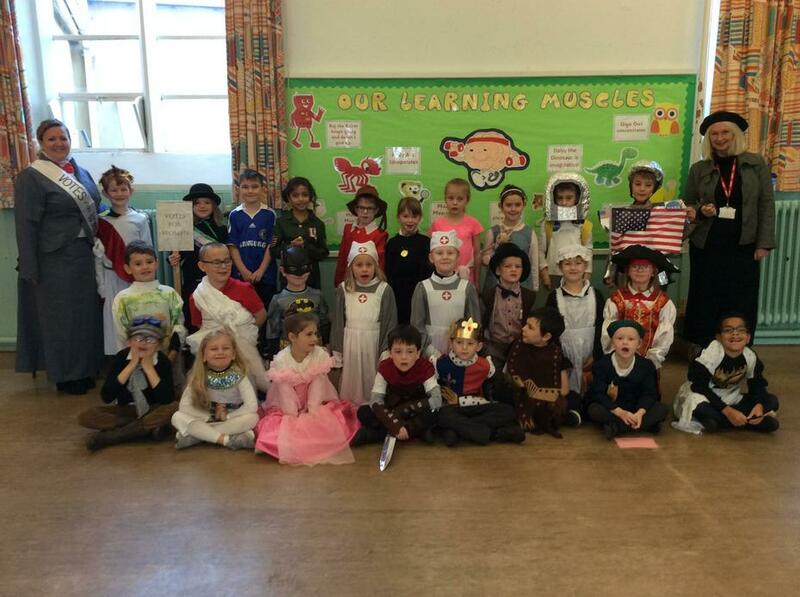 This term Year 2 will be thinking about famous explorers and pioneers from History. Have a look at our Topic Overview below to find out what we will be learning in our classes to help us answer the question 'Why are historical people important today?'. Year 2 children will participate in our Jigsaw lessons on Monday afternoons. This enables us all to reflect on the previous week, and set a positive tone for the week ahead. Please find more information about Year 2 Jigsaw lessons in the Useful Information section, within the Parents Tab. As part of our topic on Survival, Year 2 have been finding out how to stay fit and healthy. We have learnt that you should be active for 1 hour every day! You could do lots of types of exercise like cycling and swimming. We completed a round robin of exercise and thought about how our bodies changed from the start of the session to the end. Do you do enough exercise? We completed the Golden mile. We counted how many laps we did. We learnt a disco dance. We performed it as a group. We did some freestyle dancing. We worked together in groups. We were exhausted after our hour of exercise! This week, Year 2 have been making Pizza characters for a new Traction Man story. First we designed our character, then we worked in groups to make the dough. After it had risen, we learned how to use a knife safely to prepare our toppings. We then added them to our pizza base before cooking them in the oven. It was great fun! First we weighed the flour. Then we added yeast and warm water. Next we stirred the ingredients. Then we kneaded the dough. We left it in a warm place to rise. We added our toppings to our pizzas. This term we have been thinking about the place value in number. We have learned how to use dienes to show how many tens and units are in a number, and we used our understanding to work out which number was greater than, or less than another. We have to remember that the crocodile always eats the BIGGEST number! For our first WOW day this term we spent the day learning survival skills in the woods. We learned how to clean dirty water, we went on a deadly 60 hunt and we even ate bugs like worms in mud! Check out some photos from our awesome day! We learned how to clean water. We read books in a tent. We worked together to build a shelter. Our shelter had to keep us warm and dry. Term 1 - What do we need to Survive? This term Year 2 will be thinking about survival and staying healthy. Have a look at our Topic Overview below to find out what we will be learning in our classes to help us answer the question 'What do we need to Survive? '.